Some aux' then converge with this bus [Bus 7] which includes 'the splitter'. 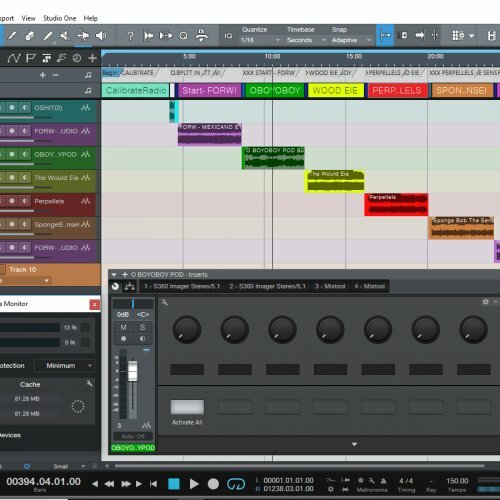 Proprietary to PreSonus, any other DAW options are lost here. The last of the aux' converge [Pre Set] followed by a final bus to close it all in [Set], utilizing the 'splitter' again followed by sidechained processing, the most delicate of the process'. This is the sound that will be reproduced during live performance, and where things take a turn into the depths. This song is mixed @ its highest block size. 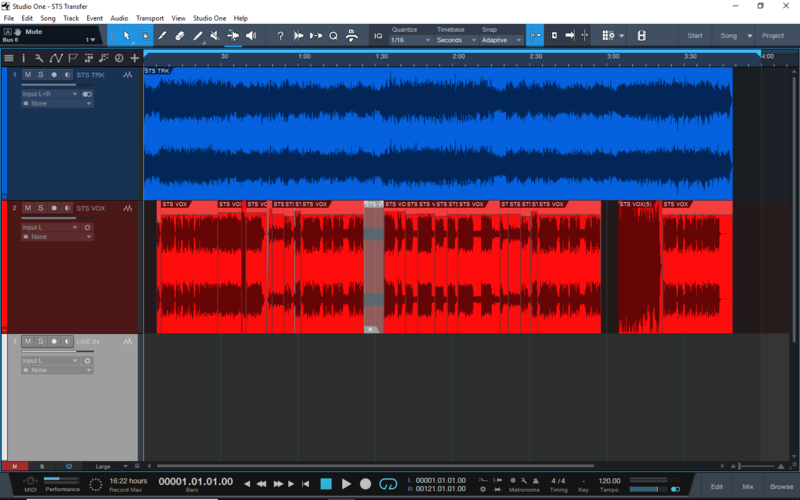 We'll finally manage to consolidate the sound as reduced as possible to fit the constraints of the system and allow PreSonus to run the full session lightly encumbered in low samples. We then replace the prerecorded vocal with the audio input in from the live performance. Cool. We seem to have it all under control right? What? THIS IS ONLY ONE SONG. THIS SESSION IS IMPORTED INTO THE MASTER SESSION WHICH HOSTS 8 OTHER SONGS LIKE IT, EACH WITH THEIR OWN SPECIFIC ROUTING, FX CHAINS AND PLUGIN SETTINGS. This example song is taking up ~23% cpu. The cpu is clocking. None of the other songs' FX are engaged, one song (maybe even 2) can be fully engaged at one time but will struggle otherwise anywhere beyond this. The session is controlled on stage by the PreSonus Studio One Remote. In a real world scenario, this would be a similar to a theater play. Think of the song as the props and the plugins as the costumes. Shifting and changing between scenes, FX chains. PreSonus, a finely tuned ensemble of a performance vehicle, carrying the performance from start to finish. HOWEVER, (SOLUTION) these pops and clicks are NOT above a global mute. I repeat. The ability to run entire songs concurrently is not specific to singer songwriter. This affects music globally, beyond both genre known and unknown. Imagine the endless applications. The ability to flip between songs seamlessly within one session. Although our current systems aren't yet equipped, our minds are. If we can put it together... We will.